Photographer and visual artist Patrick McPheron has shown work extensively throughout Southern California, including World of Wonder Gallery, Bagavagabonds, Create:Fixate, photo l.a. and Orange County Center for Contemporary Art. His work has appeared in ELLE, Experience and Sessions magazines. 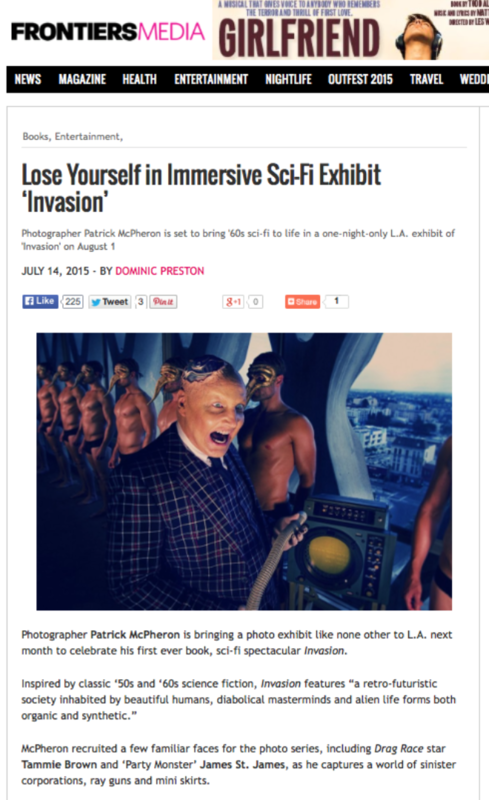 On August 1, Patrick McPheron unleashed “INVASION”, an immersive sci-fi event to celebrate the worldwide release of his new book. McPheron, inspired by the sci-fi films and TV shows of the 1950s and 1960s, picks up where storytellers like Ray Bradbury left off and jettisons us to a retro-futuristic society inhabited by beautiful humans, diabolical masterminds and alien life forms both organic and synthetic. At the end of the day, INVASION is a classic tale of survival... it's just told through big wigs, outrageous villains and technicolor sets. 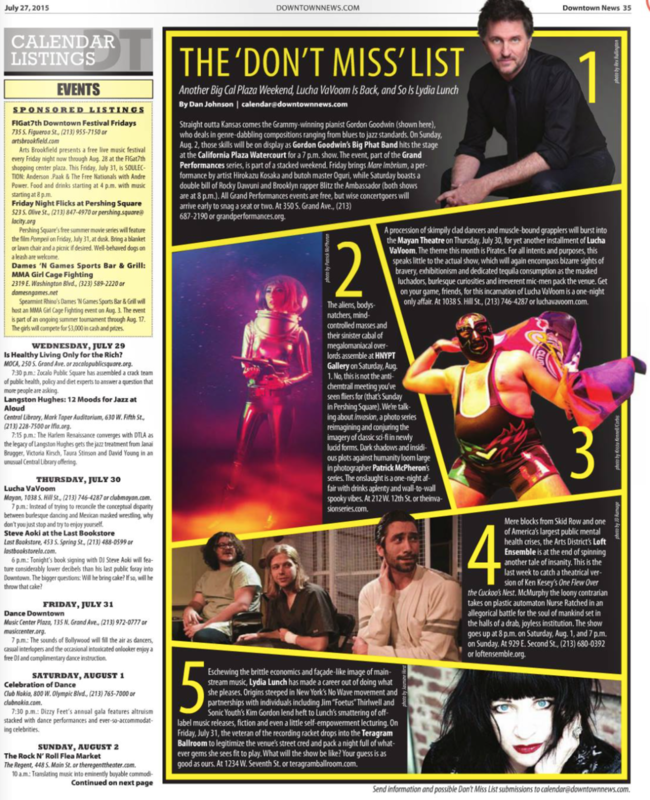 MEDIA STRATEGY DESIGNED FOR "INVASION"
Patrick signed with Pazos Media with a clear intention: to make "INVASION" a successful event, getting media outlets previewing the show and also getting the book reviewed by important media outlets.